Here’s a hot deal on a 2 Pack of Motorized Vacuum Wine Savers , they regularly retail for $49 but you can grab this set for just $6.99 with free shipping! 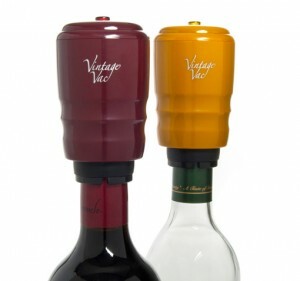 These Vintage Vac wine savers keep wine fresher, for longer. They use a hands-free motorized process to pump air out and seal flavor in, so you can enjoy a bottle of wine without worrying about finishing it right away. At this fabulous price you might want to grab a set for yourself plus another as a gift for a friend since the holidays will be here before we know it!